An in-depth study of 2 Corinthians, this Christian classic avoids popular religious trends and jargon to reveal the genuine purpose, simplicity, and joy of true Christianity. By Ray Stedman. Authentic Christianity proclaims the most liberating secret in all of Scripture. Jesus died for us so that He might live in us. That's a life big enough to carry the loads — strong enough to face the demands. A life so attractive and compelling that men and women are drawn to seek its Source. 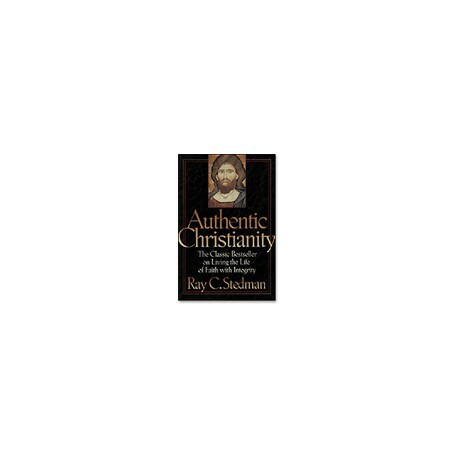 An in-depth study of 2 Corinthians, this Christian classic avoids popular religious trends and jargon to reveal the genuine purpose, simplicity, and joy of true Christianity.